These free, printable snowflake patterns and templates will help you create beautiful paper snowflakes that you can use as a decoration around your home or even as a gift topper for your holiday presents. The snowflake templates are extremely easy to use. You print a template on regular computer paper and then use the template lines to cut out your snowflake. Some of the templates are very simple and great for kids, while others will take more precision and time but you'll be amazed at the final snowflake. You'll find classic paper snowflake designs, 3-D snowflakes that require some assembly, and even snowflake templates that feature your favorite characters from movies like Star Wars and Frozen. Find even more winter fun in your warm cozy home or classroom with these free winter word search puzzles. It's Always Autumn has 6 free snowflake patterns and templates that include diamonds, star, lace, hearts, snowmen, and forest snowflakes. These range from easy to advanced and it's made clear on the downloadable PDF file which ones are easy and which are tough. Tips and a video are also available to help you get just the look you want. If you're looking for a traditional paper snowflake template, these perfect snowflake patterns from Paging Supermom are a must. These snowflake templates work a little bit different than the rest, you print and cut out a snowflake cutting template and then place it on your folded piece of paper. 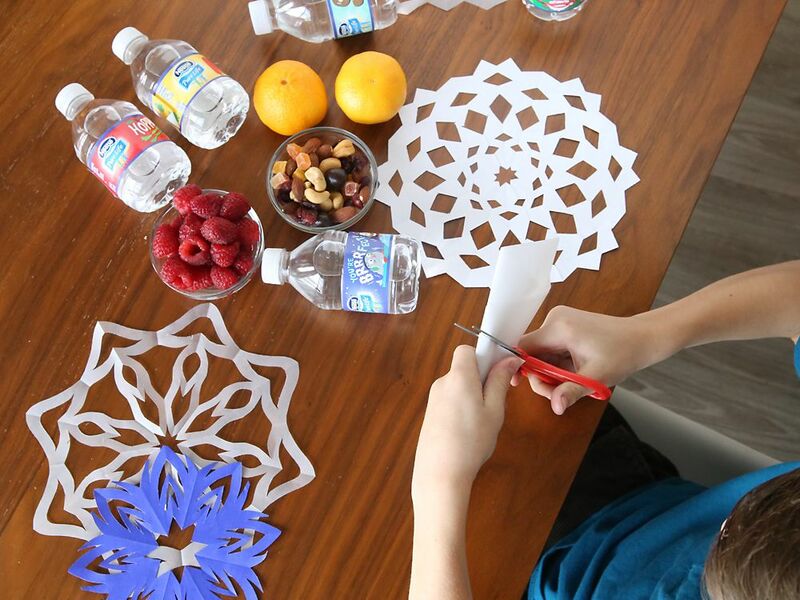 You'll then trace and cut out that design, creating one of these perfect snowflakes. There are both written directions and illustrative photos that walk you through each step of creating one of these perfect snowflakes. Omiyage Blogs has some free paper snowflake templates that use the Kirigami technique of cutting and folding the paper into snowflakes. These are completely done using standard printer paper. There are three sets of snowflake patterns here and it's recommended that you start with the first set because it's the easiest. Each set has one large and two small snowflake templates. Besides having the template available, there are also photos to help you with each step of the cutting. There's no assembly required for these snowflakes. If you're looking for some truly unique snowflake templates that aren't like any of the rest, you'll want to check out these Star Wars snowflake templates from Anthony Herrera Designs. There are five years worth of Star Wars snowflakes designs here that include snowflakes that feature Yoda, Storm Troopers, Han Solo, Jabba the Hutt, Boba Fett, Darth Vader, Han Solo in Carbonite, BB-8, C-3PO, Chewbacca, R2-D2, and just about every other character you can think of. 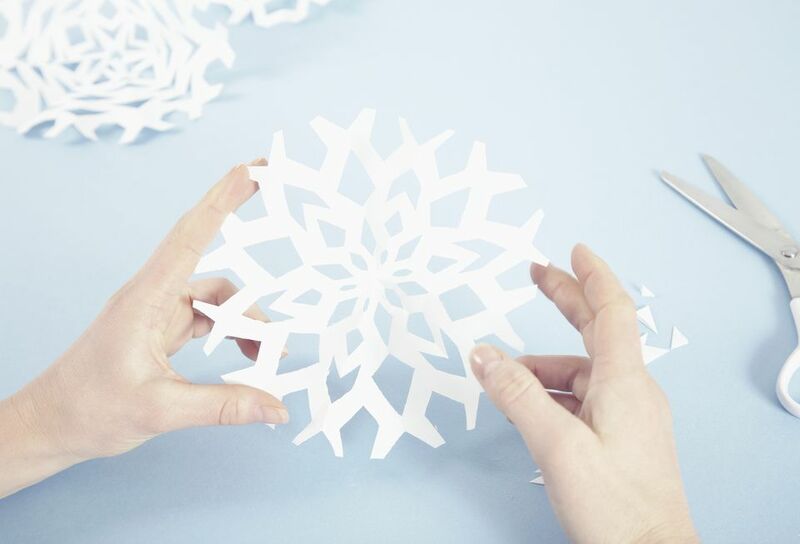 Download the PDF of the snowflake template you'd like to use and then watch the corresponding video that takes you through each step of folding and cutting out the designs to create these unique paper snowflakes. There are also some free snowflake templates for Guardians of the Galaxy and Harry Potter. These lacy snowflake templates from How About Orange are similar to the other 3D snowflake patterns on the list, but I included them because I love the two sizes that are available here. After you've printed the snowflake templates you're ready to cut and assemble the squares. Written directions and some photos are available to help you complete these fun winter project. If you have kids who are big fans of Frozen, they're going to go crazy over these free snowflake templates of Anna, Elsa, Hans, Kristoff, Marshmallow, Sven, and of course Olaf. Download the snowflake template of the character you'd like to create, print it off, and then follow the directions on how to cut and fold the paper. There's a video here to show you how if you need more direction. These lovely snowflake ballerinas from Blog a La Cart are created by using any snowflake template or a paper snowflake creation of your own as a skirt for these pretty ballerinas. The paper snowflake skirts are then placed over a cut-out template of ballerinas that are provided at the link above. Willow day has 3 free snowflake templates available, for a Dala horse, moose, and snowman. Each template prints out on a single piece of paper. You'll need to fold, cut, unfold, and then enjoy your unique snowflake. First Palette has 12 free paper snowflake patterns that go from the traditional to the unique. They incorporate flowers, diamonds, butterflies, hearts, and trees. Each template includes instructions and cutting lines. Carve Pumpkins Into Birds With These Stencils!